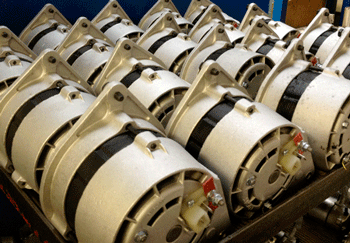 Powerlite offer a full and comprehensive remanufacturing service for original Starter Motors, Dynamos and Alternators. We understand that on original and concourse cars you may not wish to take the Powerlite up-rated route, therefore we are happy to remanufacture most original units. 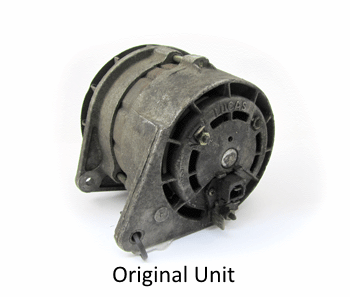 With over 30 years of experience in remanufacturing we have unique specialist knowledge in the remanufacture of original units. When remanufacturing we offer a comprehensive service where each individual unit is dismantled into its component parts, cleaned, blasted and individually reassembled with new parts wherever necessary by one of our highly experienced technicians. 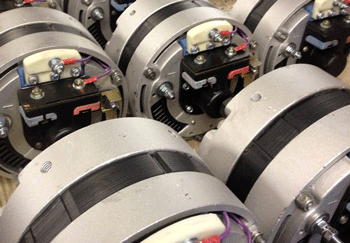 Every unit is individually built and tested before being dispatched. Many of the units we remanufacture are now over 50 years old and we are increasingly finding that units need fully rewinding as the coils have broken down, we therefore offer units at two prices, for units with and without rewound parts (sometimes it is necessary to rewound units as original coils are unserviceable.) 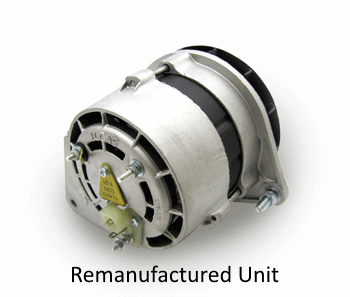 We highly recommend that units are rewound to ensure reliability and that the unit will serve for many years to come.